Does a 360 page book with drugstore formulas contain the secret of Dr. Pepper? Poking through antiques stores while traveling through the Texas Panhandle, Bill Waters stumbled across a tattered old ledger book filled with formulas. Suspecting he could resell it for around $1,000, he paid $200. Turns out, his inkling about the book's value was more spot on than he knew. The Tulsa, Okla., man eventually discovered the book came from the Waco, Texas, drugstore where Dr. Pepper was invented and includes a recipe titled "D Peppers Pepsin Bitters." "I began feeling like I had a national treasure," said Waters, 59. When the 8½-by-15½ inch book of more than 360 pages goes up for auction at Dallas-based Heritage Auction Galleries on May 13, it's expected to sell for between $50,000 to $75,000. "It probably has specks of the original concoction on its pages," he said. Waters discovered the book, its yellowed pages stained brown on the edges, underneath a wooden medicine bottle crate in a Shamrock antiques store last summer. A couple months after buying it, he took a closer look as he prepared to sell it on eBay. He noticed there were several sheets with letterhead pasted into the book that hinted at its past, like a page from a prescription pad from a Waco store titled "W.B. Morrison & Co. Old Corner Drug Store." An Internet search revealed Dr. Pepper, first served in 1885, was invented at the Old Corner Drug Store in Waco by a pharmacist named Charles Alderton. Wade Morrison was a store owner. Faded letters on the book's fraying brown cover say "Castles Formulas." John Castles was a partner of Morrison's for a time and was a druggist at that location as early as 1880, said Mary Beth Webster, collections manager at the Dr. Pepper Museum and Free Enterprise Institute in Waco. As he gathered more information, Waters took a slower turn through the pages filled with formulas for everything from piano polish to a hair restorer to a cough syrup, eventually spotting the "D Peppers Pepsin Bitters" formula. "It took three or four days before I actually realized what I had there," Waters said. The recipe written in cursive in the ledger book is hard to make out, but ingredients seem to include mandrake root, sweet flag root and syrup. It isn't a recipe for a soft drink, says Greg Artkop, a spokesman for the Plano-based Dr Pepper Snapple Group. He said it's likely instead a recipe for a bitter digestive that bears the Dr. Pepper name. He said the recipe certainly bears no resemblance to any Dr. Pepper recipes the company knows of. The drink's 23-flavor blend is a closely guarded secret, only known by three Dr. Pepper employees, he said. Michael Riley, chief cataloger and historian for Heritage Auction Galleries, said they think it's an early recipe for Dr Pepper. "We just feel like it's the earliest version of it," he said. Jack McKinney, executive director of the Dr. Pepper Museum and Free Enterprise Institute in Waco, surmised that Alderton might have been giving customers something for their stomach and added some Dr Pepper syrup to make it taste better. "I don't guess there's any definitive answer. It's got to be the only one of its kind," Riley said. McKinney said that the ledger book is bound to be popular with Dr. Pepper collectors since it's from the time the drink was invented. Riley said the book was probably started around 1880 and used through the 1890s. He said it's not known who wrote the Dr. Pepper recipe in the book, but they don't think it was the handwriting of Alderton or Morrison. Some formulas though have Alderton's name after them. At first, Alderton's drink inspired by the smells in the drugstore was called "a Waco." "People would come in and say, 'Shoot me a Waco,"' Riley said. 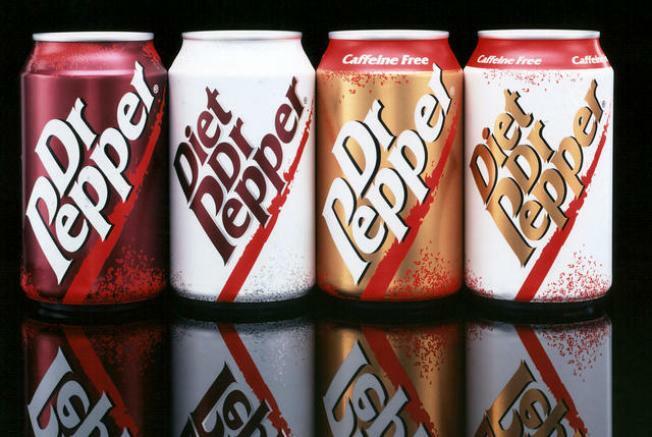 Soon renamed Dr. Pepper, the drink caught on and other stores in town began selling it as well. Eventually, Alderton got out of the Dr. Pepper business and Morrison and a man named Robert Lazenby started a bottling company in 1891. Flipping through the pages of the ledger book takes one back to a time when drugstores were a neighborhood hub, selling everything from health remedies to beauty products mixed up by the store's chemists. And among the formulas being mixed up in drugstores were treats for the soda fountain. A two-page spread in Waters' book has recipes for "Soda Water Syrups," including pineapple, lemon and strawberry. "There were very few national brands," Riley said. "Their lifeblood was all their formulas."